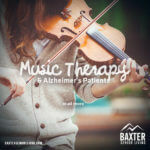 As a future resident of Baxter Living, you will appreciate knowing we will offer 24-hour trained care staff as well as full-time licensed nurses. In cases where residents require minimal assistance, or even in circumstances where a more thorough and comprehensive care plan is required for day to day activities, our staff will be available to support our residents. 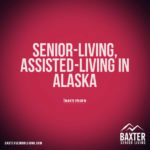 For each resident in Baxter Assisted Living, healthcare assessments will be done prior to moving into our Anchorage senior housing community, and routinely thereafter, to make sure we are providing the top notch care you expect. All care plans will be determined with input by you or your representative, our staff, and your primary care physician. 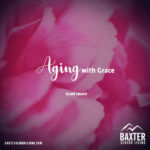 At Baxter Senior Living, we will continually strive to offer a place where all of our residents have the opportunity to experience aging with dignity and enjoyment, wherever they are in life’s journey. Prices start at $4,800 per month; call us now to learn more about our rates and availability. 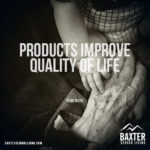 For each resident in Baxter Assisted Living, healthcare assessments will be done prior to moving into our senior living community, and routinely thereafter, to make sure we are providing the top notch care you expect. Call us now to learn more about our rates and availability!